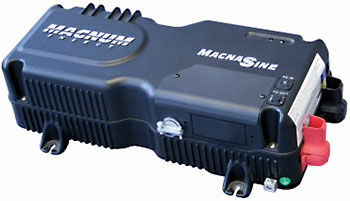 The Magnum Energy MM-1012E modified sinewave inverter works great in renewable energy or backup power systems (230V, or 50Hz applications outside the US). This inverter will convert 12-volt DC power from your battery bank to 230-volt 50Hz power at a price that will keep your system cost competitive. Magnum Energy builds products known for their high quality, impressive features and reliability. The MMS-E series of inverters is backed by a trusted 2-year parts and labor warranty. The MM-1012E inverter/charger is a cost-effective, easy to use solution for small off-grid power needs. Power factor correct charging is included in all Magnum inverter/chargers, this useful feature uses 25-30% less AC current when connected to a generator or shore power. 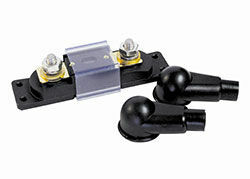 Current overload protection enables the inverter to automatically shut down if the output wattage is exceeded or a short in the wiring is detected. Automatically shuts down if abnormal voltages or temperatures are detected, protecting your expensive batteries.